The question becomes — how do you use it in your architectural design? Texture can be used intentionally to elicit occupant experiences. Most simply, texture can “mark” certain areas within a building by differentiating spaces; but, what happens when you place texture in such a way that it becomes more of an interactive experience? Inviting occupant touch, altering a space’s sound or using texture with lighting to play with architectural shadows can all create some meaningful effects. When you consider it, texture can also be used to accomplish even more complex problems. As you know, texture can take on many scales and intensities. Texture variation can be used to emphasize certain elements and deep textures can become elements in themselves. 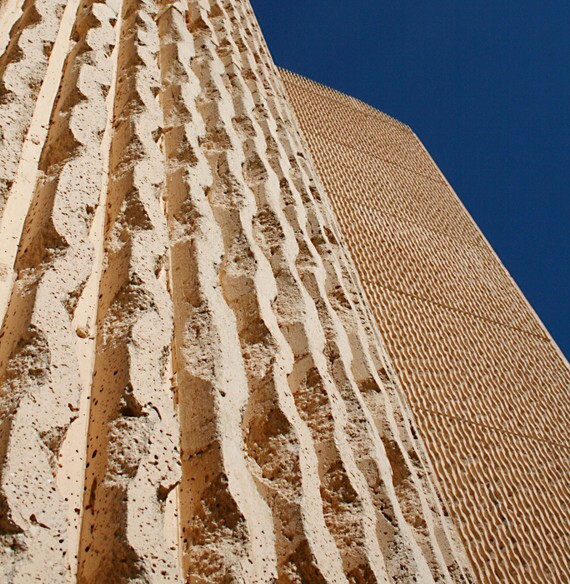 As we move onward to incorporate new innovations within architecture, what role do you think texture might have? Do you think the use of texture will change as components becoming smaller, more dynamic and interactive? My guess is that texture will be used by architects to create more complex architectural languages. The juxtaposition between both digital and natural materials will certainly emphasize textures via patterns and rhythms. In addition, texture between the two will call for varying degrees of occupant touch.